Francisco Sardinha and Elvis Gomes filed their papers on a day which saw a flurry of nominations for the general elections, as well as the state Assembly by-polls. Former Chief Minister Francisco Sardinha on Tuesday filed his nomination for the South Goa Lok Sabha seat as a Congress candidate. 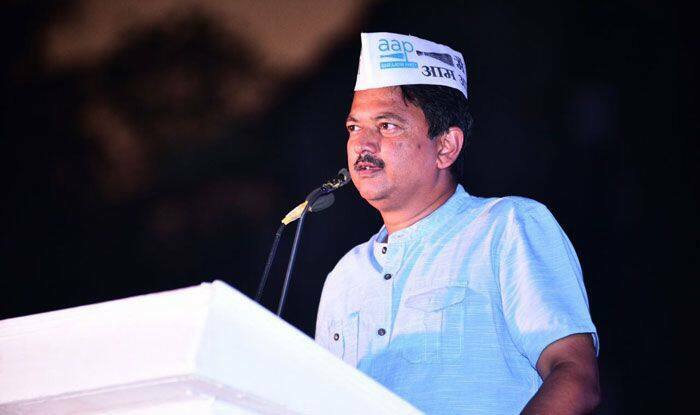 Aam Aadmi Party (AAP) state convenor Elvis Gomes also filed his nomination for the same seat. Both filed their nomination papers on a day which saw a flurry of nominations for the general elections, as well as the state Assembly by-polls. Sardinha, who broke away from the Congress and served as the Chief Minister of a rebel government supported by the Bharatiya Janata Party (BJP) for nearly a year in 1999-2000, filed his nomination papers in the presence of former Chief Minister Digambar Kamat, Leader of Opposition Chandrakant Kavlekar and state Congress President Girish Chodankar. His key opponent is the BJP’s sitting MP Narendra Sawaikar, who filed his nomination papers last week. Joshua D’Souza and Dayanand Sopte, two BJP candidates for the Assembly by-polls, which are also scheduled to held on April 23, also filed their nomination papers on Tuesday from Mapusa and Mandrem Assembly constituencies, respectively. While D’Souza is the son of former Deputy Chief Minister and Mapusa MLA Francis D’Souza who died in February, Sopte quit the Congress in 2018 to join the BJP, therefore necessitating a by-poll in Mandrem. While Sopte expressed confidence about his victory while speaking to reporters after he filed the nomination papers in the presence of Chief Minister Pramod Sawant, the absence of former Chief Minister and former MLA from Mandrem, Laxmikant Parsekar, on the occasion was significant. Sopte beat Parsekar to win the Mandrem Assembly seat in the 2017 polls and the former’s entry into the BJP has led to discomfort in the ranks of party workers loyal to Parsekar. Among the other Assembly by-poll candidates who filed their nomination papers on Tuesday was Santosh Satarkar, who filed his papers from the Shiroda Assembly constituency on behalf of the Goa Suraksha Manch, a political party headed by former state Rashtriya Swayamsevak Sangh chief Subhash Velingkar.